Children in Music Experience are exposed to the “fun”damentals of music through song, rhyme, pitch exploration and movement activities as a means to prepare them for music literacy. These fun, educational activities not only pave the way for literacy-based music instruction and vocal development, but they also help children with language exploration, small and large motor skills, and social development. Unison singing is emphasized but choir members will also sing occasional canons and partner songs. 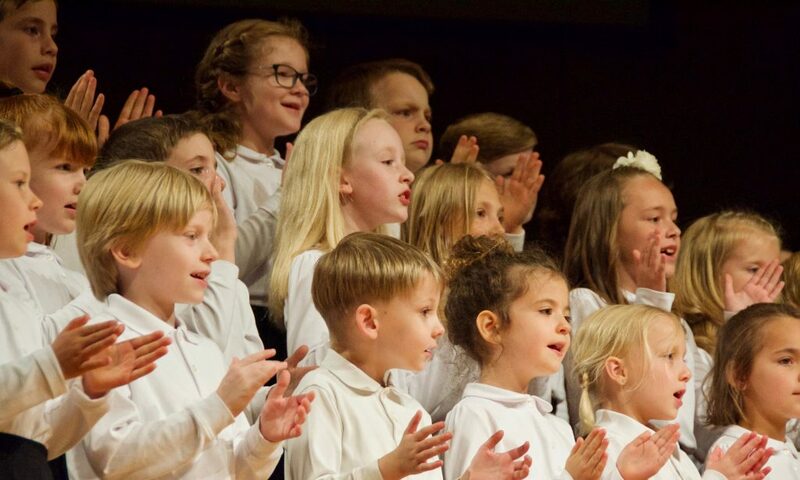 Principio provides a beginning choral experience for older elementary students. 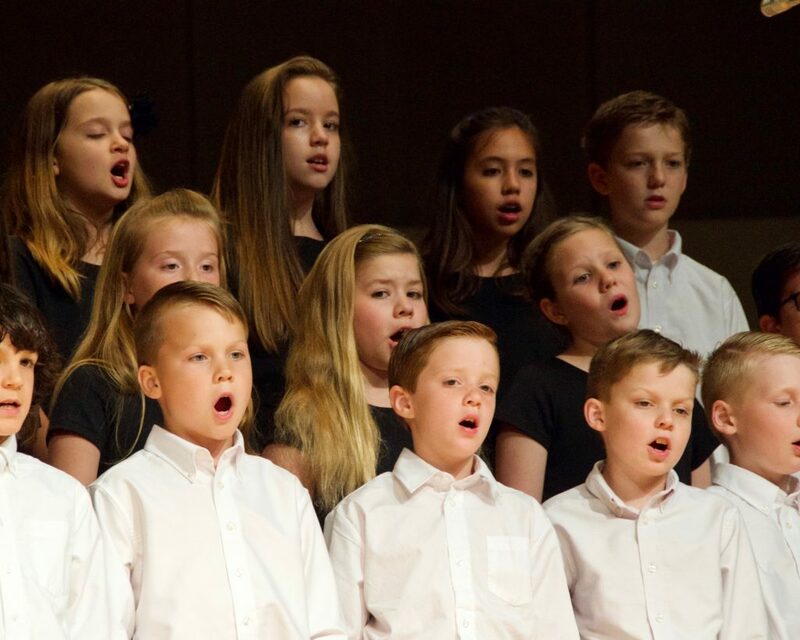 Each lesson cleverly and energetically combines the learning of musical skills and group singing in an elemental choral setting. Two-part singing is emphasized with repertoire ranging from choral octavos to partner songs and everything in between. In addition to seasonal concerts, older students may occasionally be presented with bonus performance and audition opportunities. In Illuminati, singers focus on developing their vocal range, tone quality, and music literacy skills. Repertoire consists of folk songs, art songs, religious music, and multicultural music as well as works by classical composers. Two-part singing is emphasized throughout the year and 3-part treble harmony is introduced. 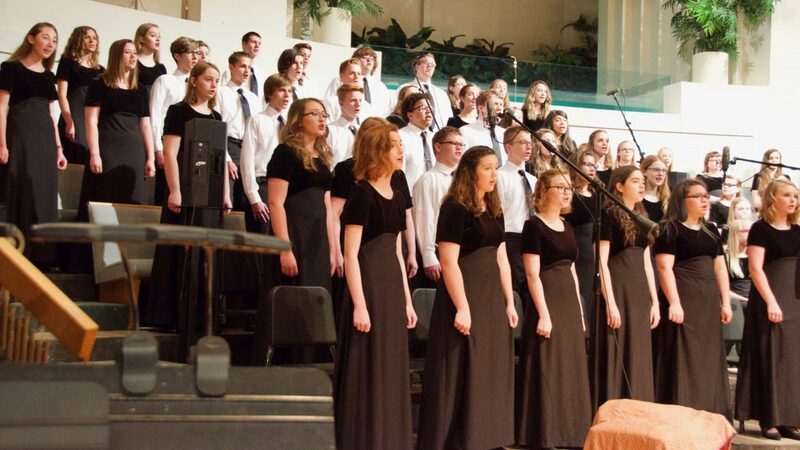 Performance opportunities include seasonal concerts, choral competitions, community tours, and more. Bella Voce includes members ages 14 and up as well as all males with a changed voice. This is an SATB (4-part mixed) choir. 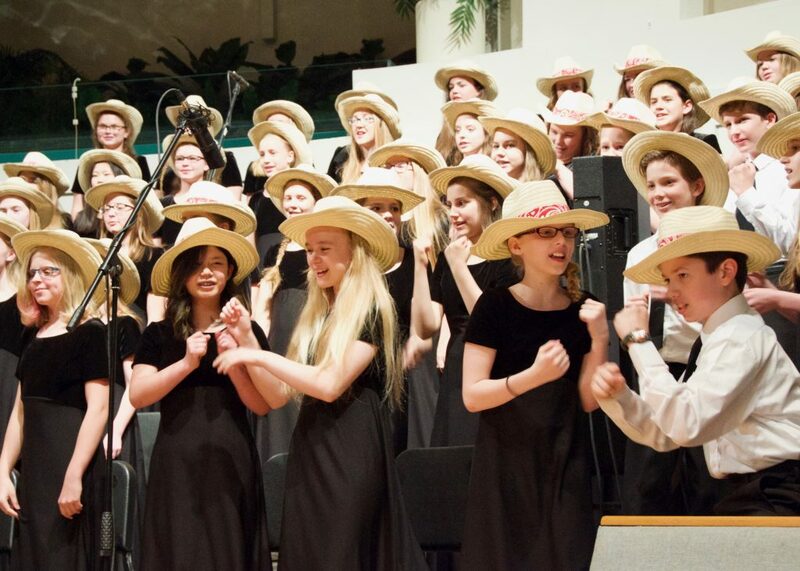 Members learn and perform outstanding advanced high school and college-level repertoire of all styles and genres, with a primary goal of developing a wider vocal range and more mature tone. Students are expected to practice the music outside of their organized rehearsal time. Performance opportunities include seasonal concerts, choral competitions, community tours, and more. *Age as of September 1st of the current school year.